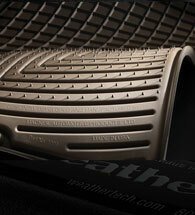 WeatherTech® all-weather floor mats are designed to contain water, mud, sand and salt. 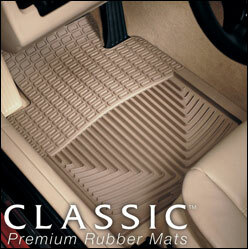 These odorless resin floor mats protect your carpeted truck floors from damage and wear. Innovative engineering ensures these mats will not crack or curl in freezing temperatures. Anti-skid ridges to prevent movement during daily use. Non-stick finish for easy and quick cleanup. Choice of black, tan or grey, ensuring a complementary match with any truck interior. For the ultimate in protection and fit, WeatherTech offers DigitalFit®. Using digital laser measurements of a variety of different truck interiors, WeatherTech engineers have created a customized fit for each vehicle. 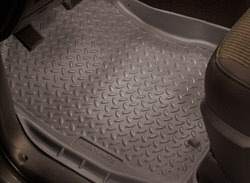 Made from a patent pending High-Density Tri-Extruded (HDTE) material for long lasting strength and greater adhesion to carpeting, DigitalFit floor liners conform to the unique contours of your vehicle’s floor and provide an expanded area of coverage over typical floor mats. Front, back and side protection ensures mud and winter slop don’t end up on your carpeting, and specially designed channels in the mats keep rain, melting snow, and spills safely contained in the liner. Made In America. You Bet It Matters! Cap Connection is proud to offer these 100% Made in the USA floor liners to protect your vehicle's interior, and proud to help an American company protect our American heritage of innovation and manufacturing excellence. 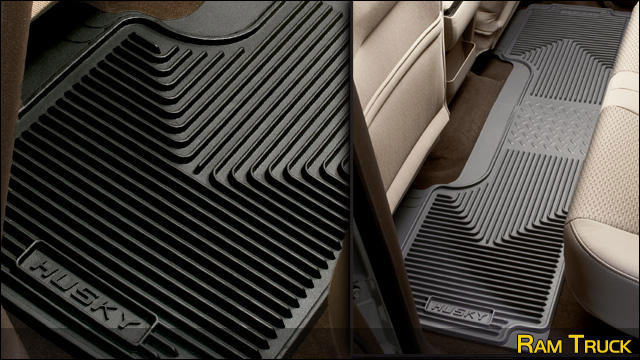 Quality - WeatherTech® All-Weather Floor Mats meet FMVSS302 standards. Proudly designed, engineered and manufactured with American-made tooling in the USA. Guarantee - WeatherTech® All-Weather Floor Mats are guaranteed against defects in materials or workmanship for 10 years from the date of purchase. Durable - Floor Mats are made out of an odorless compound and have deeply sculpted channels designed to trap water, road salt, mud and sand. 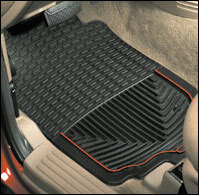 Husky floor liners are equipped with raised containment walls for maximum truck floor protection. 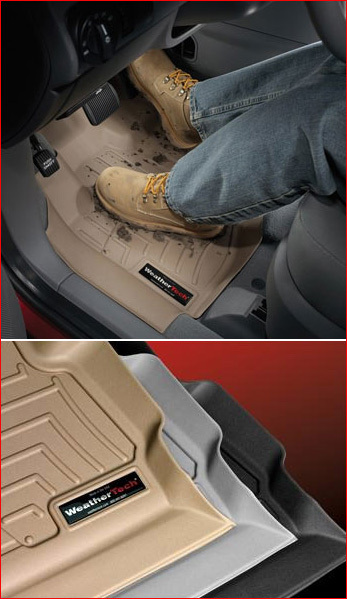 These heavy duty truck mats protect against weather wear year-round.Driver's side floor mats are designed with thick, heavy-duty tread to ensure longevity while keeping shoes clean and truck floors in prime condition. Form-fitted edges lay seamlessly against door thresholds for easier entry and exit. Husky's custom floor liners are designed to complement the interior styling of cars, trucks and SUV's while providing long-lasting functionality and protection. 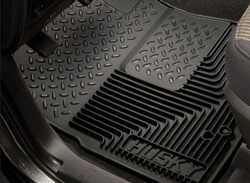 All Husky floor mats are expertly engineered to resist cracking and curling in even the most extreme weather conditions. Husky Liners' lifetime warranty ensures you are completely satisfied with your purchase for years to come.